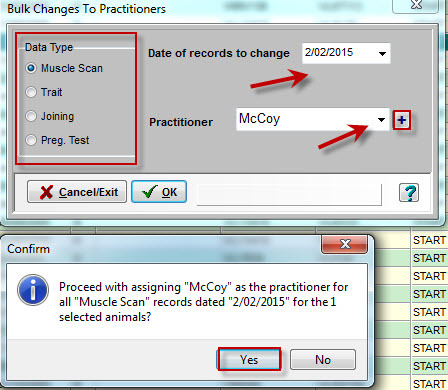 When using Stockbook, sometimes the need arises to change a certain piece of information over an entire group of animals. To do this you should use the 'Bulk Changes' feature. 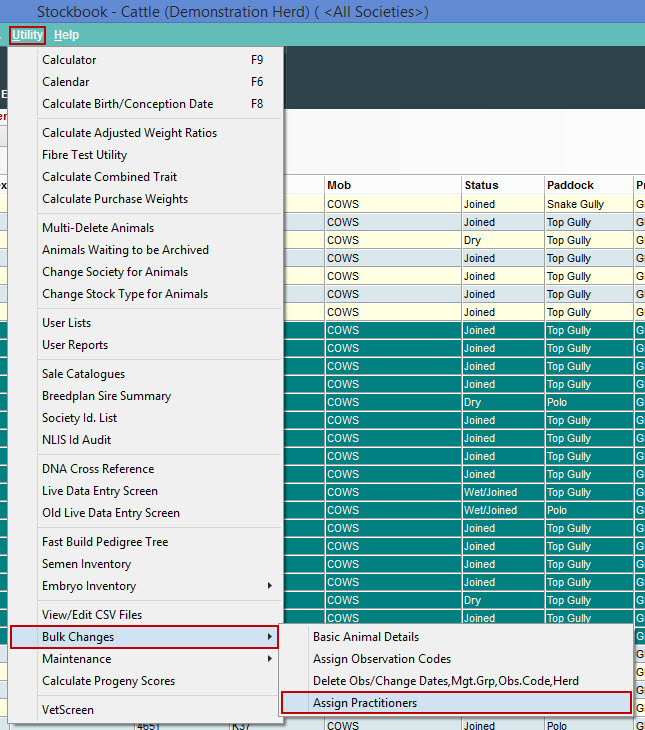 This allows you to select a group of animals and change a piece of information for the entire group, without having to do each animal individually. How do I assign practitioners?